Finley Duke was born in Vernon, Texas. His music began in California singing for tourists at the Double CR movie ranch and becoming a member of the stage show as guitar player and backup with the Double CR Ranch Boys. He was introduced to Christian music in the late 1970s and soon started a gospel music program on a country music station in Mojave, California. This soon lead to strapping on six guns and becoming part of the wild west show, which went on the road some too. Next thing was going before the movie camera as a cowboy. Finley worked with the 'All American Cowboy 'Chuck Ryaan' in movies and performing Western Music. I was introduced to Christian music in the mid 1970s. I was still in the entertainment industry performing secular country and western (cowboy) music with some of the singing cowboys and in western movies as a bit player and performing stunt work. It seems like it was almost overnight that God called me to gospel music. I soon started a gospel music program on a country music station in Mojave, California . Musically, I continued to sing in the traditional style, using my acoustic guitar and singing gospel songs that most folks knew from church and radio. 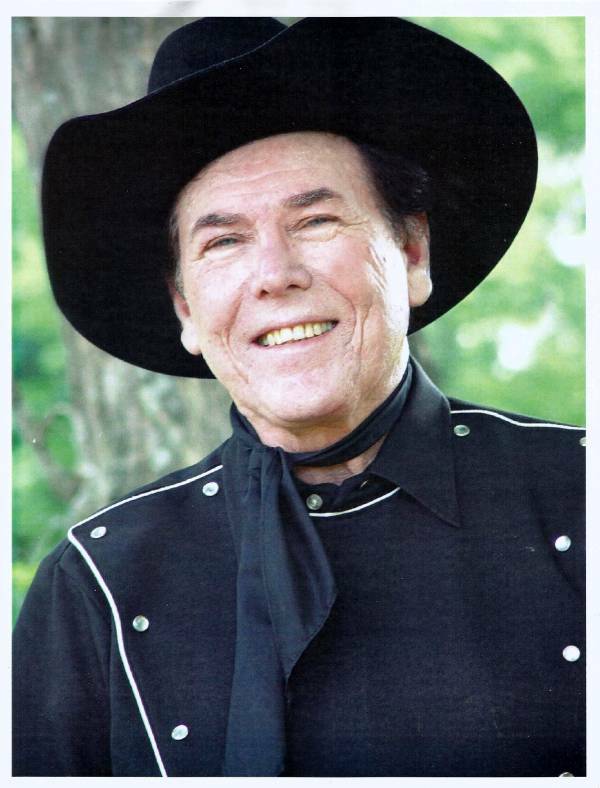 As Western music and the cowboy scene faded Finley became more involved in gospel music as a performer. Finley has since moved to Texas and lives in Houston and continues as an advisory board member of 'The Hollywood Stuntmen's Hall Of Fame'. Finley has been a valued member of the Reel Cowboys for many years.